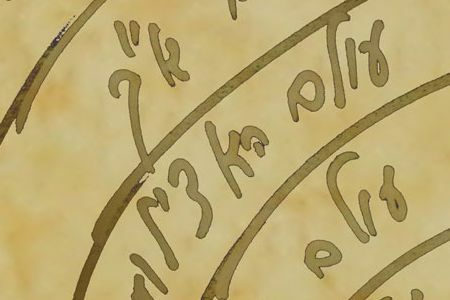 Live Kabbalah introductory lesson tonight at 8:00 PM till 9:15 PM EST (NY Time). In the portion, VaEra (And I Appeared), the Creator appears before Moses and promises to deliver the children of Israel from Egypt to the land of Canaan. Moses turns to the children of Israel but they do not listen “out of impatience and out of hard work” (Exodus 6:9). The Creator instructs Moses to turn to Pharaoh and ask him to let the children of Israel go out of Egypt. Moses fears that he will not succeed in his mission and asks the Creator for a token. The Creator says to Moses that he will be as God to Pharaoh, while Aaron will be as the prophet who does the actual speaking, and the Creator will harden Pharaoh’s heart and shower plenty of signs and tokens over Egypt. The Creator gives to Moses and Aaron a staff, and when Moses casts the staff to the ground it becomes a snake. When Moses and Aaron come to Pharaoh, Moses is eighty years old and Aaron is eighty-three. There are many magicians and soothsayers around Pharaoh. When Moses and Aaron arrive, they throw down the staff and it becomes a snake. Pharaoh’s magicians do the same and their staffs turn to snakes, as well, but Moses’ and Aaron’s snake swallows the magicians’ snakes. Despite that display, Pharaoh remains defiant. This is when the ten plagues of Egypt begin. This portion mentions seven of the plagues: blood, frogs, lice, flies, pestilence, boils, and hail. After each plague Pharaoh goes back on his word and refuses to let the children of Israel go.